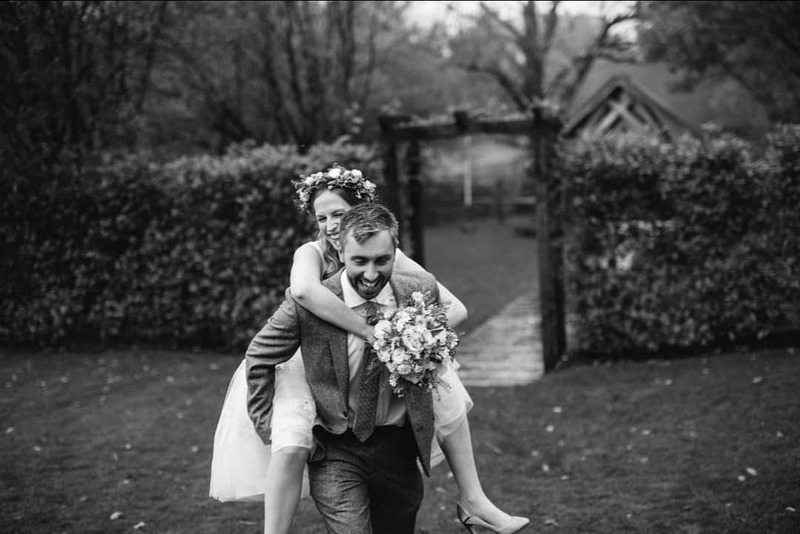 We recently had the absolute pleasure of dressing this beautiful bride for her big day! When Catherine came to the boutique she knew she wanted something a little bit different to suit her quirky style. She was also having a ceilidh in the evening and this bride definitely didn’t want to miss out on any of the dancing! After trying lots of styles and shapes Catherine decided Amanda Wyatt’s Cherub was the dress for her! Catherine said of her Sass & Grace experience, “Thank you Sam for helping me find my perfect dress! The whole experience was wonderfully relaxed and personal. I can thoroughly recommend Sass & Grace! 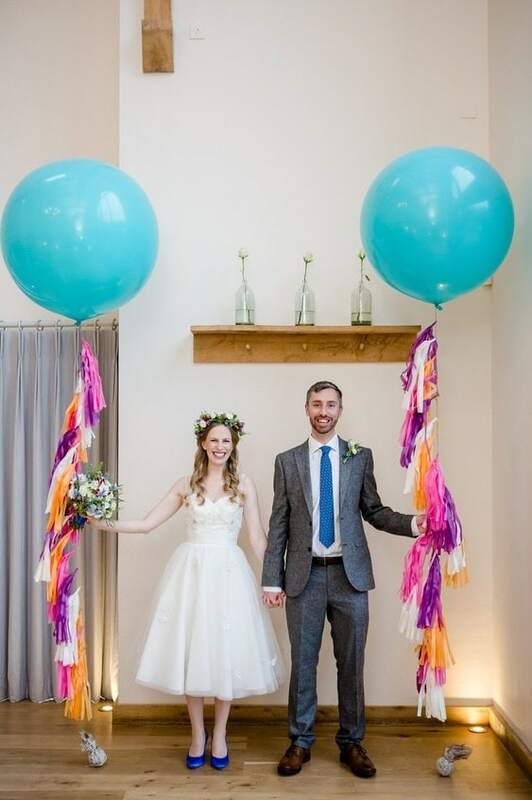 We had an absolutely amazing day and the ceilidh in the evening was a blast – the dress worked perfectly for it! Thanks for all your help, I’m so happy with the dress and Ian loved it too :)” . 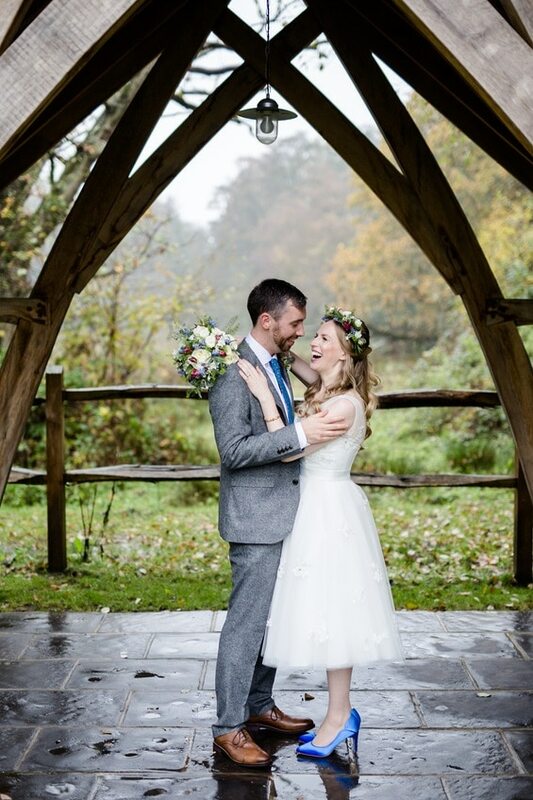 We love the fact that Catherine teamed her dress with bold blue shoes and The Gorgeous Flower Company created a stunning floral crown to complete the whole look! Catherine and Ian we wish you a lifetime of good health, love and laughter together! Hannah & Hayden’s Wedding Day with a special guest – the Tractor!